Kale is a vegetable with green or purple leaves, where the fundamental leaves do not form a head like a cabbage. Ever wonder why kale is receiving a lot of attention now? The dark leafy green is far superior to spinach when it comes to nutrition. Kale is a vegetable with green or purple leaves, where the fundamental leaves do not form a head like a cabbage. 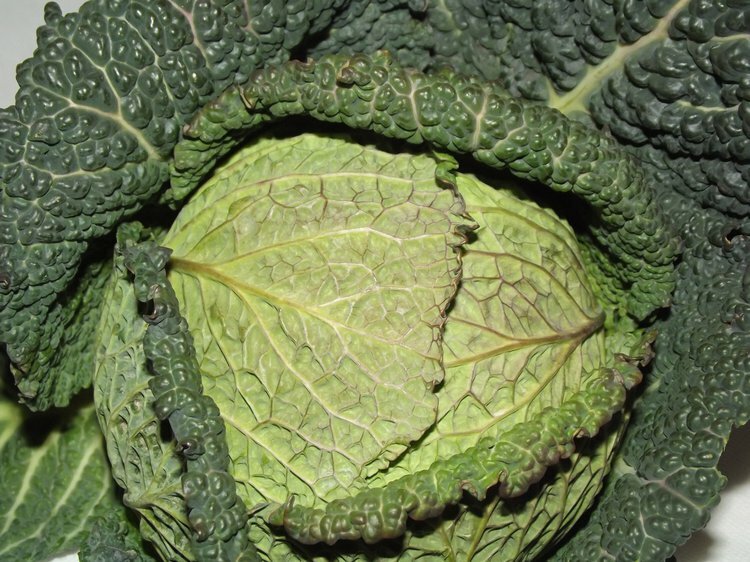 This plant is part of the species Brassica oleracea and is grouped in the same family as other ‘super’ vegetables like broccoli, cauliflower, collard greens, and Brussels sprouts. There are many reasons why kale is regarded as a super food. Kale is perfect for individuals trying to lose weight. Per the United States Department of Agriculture for kale nutrition facts, one cup of kale (67 grams) contains only about 35 calories, 1.3 grams of fiber, and almost no fat. This can help individuals who would like to feel full with very little consumption of calories. The considerable amounts of fiber can help an individual’s digestive and constipation problems. Fiber stimulates the release of stomach juices and induces smooth muscle movement, causing regular bowel movements. Research has revealed several benefits of kale consumption including helping individuals with diabetes. Studies have shown that individuals with type 1 diabetes who eat high-fiber diets have lower blood sugar levels than individuals who do not eat as much fiber. Also, the Journal of the American Medical Association reported that daily consumption of kale reduces the oxidative stress of type 2 diabetes and can help the body manage blood sugar levels. Many health enthusiasts recommend kale because of its high content of antioxidants. Antioxidants are natural substances that may prevent or delay some types of cell damage and cancer. These elements also help promote eye health and even reduce the risk of brain diseases, decrease sugar levels, increase insulin sensitivity, and prevent oxidative stress-induced changes in cells in individuals with diabetes. Vitamin C in kale can help improve an individual’s immune system, metabolism, and hydration. One cup of kale contains 134% of the suggested vitamin C needs. Not only does vitamin C fight infection, but it can also help improve one’s hair and skin. Vitamin C is necessary to produce a protein called collagen, which is critical to maintain the structure of our bodies. Collagen is the framework for our skin and bones; we cannot hold together without collagen. Also, a cup of kale contains 206% of the recommended vitamin A. Vitamin A has been known to keep your hair nourished through increased sebum production. Kale also contains vitamin K, which is useful in improving your bone health. Eating adequate vitamin K can help the bones because it acts as a modifier of bone matrix proteins, promotes calcium absorption, and prevents bone loss and osteoporosis. For individuals with heart problems, kale can help them with the potassium amount contained in each cup of kale. Each cup contains 329 milligrams of potassium. A study published by the American Society for Nutrition suggested that individuals who consumed 4069 milligrams of potassium per day had a 49% lower risk of death from ischemic heart disease, compared with those who consumed less potassium (approximately 1000 mg per day). You could try switching iceberg lettuce with kale to have a dark leafy salad. For individuals who eat hamburgers, try substituting kale for lettuce for extra flavor and more vitamins. Kale has many vitamins and minerals to improve bone health, heart health, and even brain health. Remember, kale is indeed a super vegetable! Data, P. (1995). Alpha-Lipoic Acid. Arzneimittelforschung, 45, 872-874. He, F. J., & MacGregor, G. A. (2001). Beneficial effects of potassium. Bmj,323(7311), 497-501. Meneely, G. R., & Battarbee, H. D. (1976). Sodium and potassium. Nutrition reviews, 34(8), 225-235. Prosky, L., Asp, N. G., Schweizer, T. F., DeVries, J. W., & Furda, I. (1987). Determination of insoluble, soluble, and total dietary fiber in foods and food products: interlaboratory study. Journal-Association of Official Analytical Chemists, 71(5), 1017-1023. Song, H. P., Byun, M. W., Jo, C., Lee, C. H., Kim, K. S., & Kim, D. H. (2007). Effects of gamma irradiation on the microbiological, nutritional, and sensory properties of fresh vegetable juice. Food Control, 18(1), 5-10. Sun, B., Yan, H., Zhang, F., & Wang, Q. (2012). Effects of plant hormones on main health-promoting compounds and antioxidant capacity of Chinese kale. Food Research International, 48(2), 359-366. Neumark-Sztainer, D., Wall, M., Perry, C., & Story, M. (2003). Correlates of fruit and vegetable intake among adolescents: Findings from Project EAT.Preventive medicine, 37(3), 198-208. Larson, N. I., Neumark-Sztainer, D., Hannan, P. J., & Story, M. (2007). Trends in adolescent fruit and vegetable consumption, 1999–2004: project EAT. American journal of preventive medicine, 32(2), 147-150. Thomson, C. A., Rock, C. L., Thompson, P. A., Caan, B. J., Cussler, E., Flatt, S. W., & Pierce, J. P. (2011). Vegetable intake is associated with reduced breast cancer recurrence in tamoxifen users: a secondary analysis from the Women’s Healthy Eating and Living Study. Breast cancer research and treatment, 125(2), 519-527. Kim, S. Y., Sun, Y. O. O. N., Kwon, S. M., Park, K. S., & Lee-Kim, Y. C. (2008). Kale juice improves coronary artery disease risk factors in hypercholesterolemic men. Biomedical and environmental sciences, 21(2), 91-97.